The Bedford design offers an open layout centered around the great room. Ideal for entertaining, the Bedford plan’s dining room and kitchen both open up into the great room. One bedroom is located on the first floor accompanied by a private full-bath and walk-in closet. An additional half-bath is located on the first floor as well. 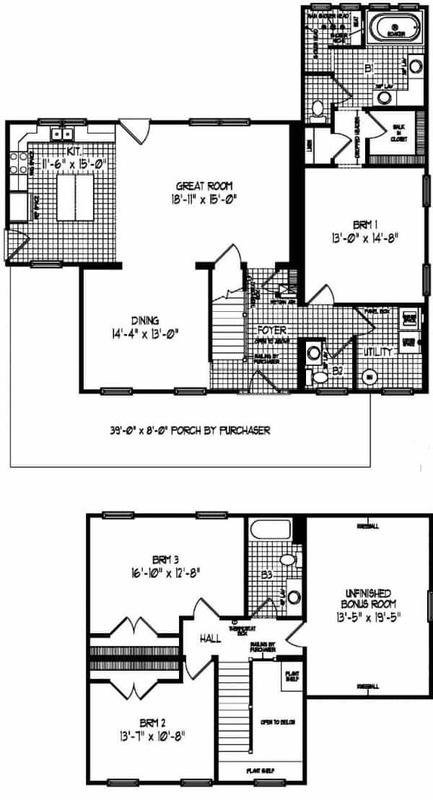 Two additional bedrooms are situated on the second level along with an unfinished bonus room, which could be used for a home office or an exercise room. 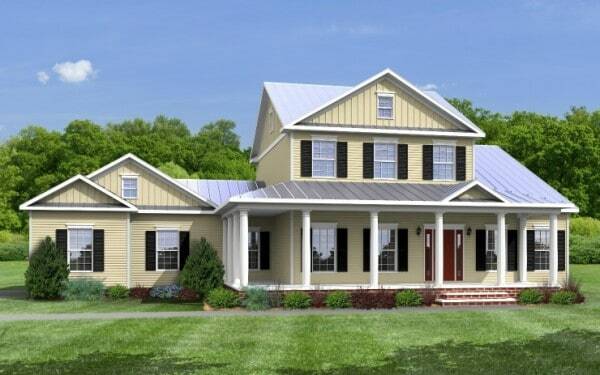 And, of course, you can select hundreds of customization options and upgrades to achieve the home of your dreams. Have questions about the Bedford? Get in touch with the experts at River Valley Builders about customizing this floorplan to fit your needs and lifestyle.